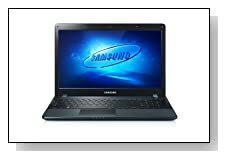 Ash black Samsung ATIV Book 2 NP270E5E-K02US is the new 15.6-Inch Laptop from Samsung.. It comes with an Intel i3 processor, 4GB RAM, 500GB hard drive, an anti-reflective LED backlit display, en ergonomic keyboard with numeric keypad, an integrated optical drive for multimedia and more for a trouble-free daily computing experience. The Ivy Bridge Intel Core i3 3120M at 2.5 GHz speed gives you better overall performance, while allowing you to watch HD movies, do better 3D rendering and media processing and perform any computing tasks much smoother and easier. 4GB DDR3 SDRAM memory will let you work on different programs and browser tabs comfortably without interruption. 500GB at 5400 RPM rotating speed Serial ATA will give you ample storage for all your multimedia files. Samsung HomeSync Lite will let you turn your ATIV Book into your personal cloud to share and sync data with different devices: Take a photo on your smart phone and see it instantly on your PC. 15.6-Inch LED Screen at 1366x768 max pixel resolution is anti-reflective so that you won't see yourself on the screen when working and everything will look clearer and sharper when you use your notebook outdoors even in the sun. Picture quality is great, also with the help of Intel HD Graphics 4000. 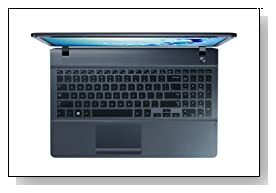 ATIV Book has an island style ergonomic keyboard with spaced out keys and a 10-key numeric keypad for easy data entry. Touchpad underneath it is designed for Windows 8 and you will be able to use simple functions with a swipe. It is the 64 bit version of Windows 8. Ash black Samsung ATIV Book 2 is 1.25 inch thick and weighs 4.8lbs. Its Lithium-Ion battery gives you almost 5 hours in average use. This model doesn't have a USB 3.0 port but has 3 x USB 2.0's instead. Super multi dual layer DVD +/-RW, 802.11bgn wireless, a three-in-one multi-card reader, VGA and HDMI ports to connect to large screen TV or monitors are some of its other connectivity options. Verdict: Samsung makes great quality computers with nice design and Samsung ATIV Book 2 NP270E5E-K02US is a great addition to its mid-range laptops with low to mid-range price (Last time I checked, Amazon had a big discount!). It looks modern and great, feels durable and performs very well on daily computing tasks. Very highly recommended at the current price on Amazon..